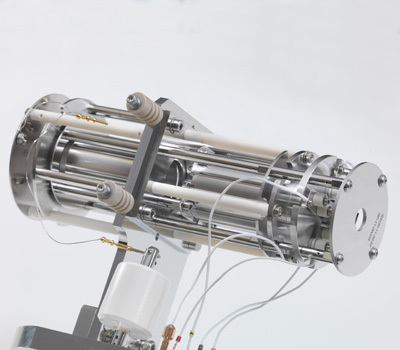 Specialists in clean and high vacuum assembly and manufacture. Technical expertise to provide constantly high standards of performance and delivery. Reliance supplies custom-built mechanical and electro-mechanical assemblies for use in clean and high-vacuum applications. These include products used for scientific, industrial and environmental analysis, and products used in the manufacture of semi-conductors. Reliance has invested in modern cleanroom facilities and cleaning lines, together with stringent quality and process controls, to ensure the high level of cleanliness demanded from these industries. All components are cleaned prior to commencing the assembly process; this includes parts manufactured in-house and those supplied by third parties. We have a fully enclosed solvent cleaning facility, which, importantly, meets our environmental obligations by recycling the solvent. This is used to remove all traces of oil-based contaminants. Additional levels of cleanliness can be achieved using our automated aqueous cleaning line, acid cleaning, vacuum baking and plasma cleaning. Parts which are to be used in a vacuum and also subject to high voltages are processed using a second dedicated aqueous cleaning line. In the absence of national, industry-standard cleaning specifications, Reliance has developed in-house specifications and operational procedures, based on 20 years’ experience of working with high vacuum assemblies. An appropriate mix of cleaning processes is agreed with each customer, with jointly developed specifications to suit the working environment of their assembly. 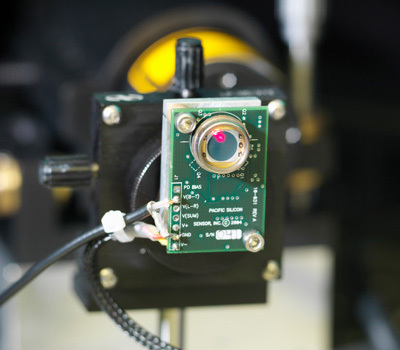 Reliance can bring a variety of surface analysis techniques to bear in order to validate the surface cleanliness and is always willing to discuss a customer’s requirement. 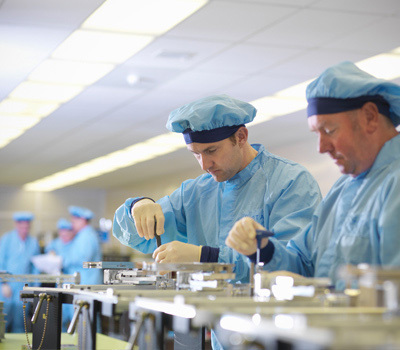 Assemblies are produced in our laminar flow cleanroom, certified to ISO 14644-1 Class 6 (Fed Std 209D Class 1,000). Analysis of the dust particle count is carried out weekly, with all measurements taken when the cleanroom is fully equipped and populated. Appropriate overalls, gloves, hats and boots are worn at all times. 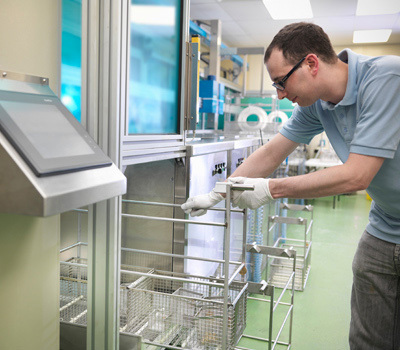 All new technicians undertake a formal induction process and a subsequent mentoring process is used to verify adherence to the cleanroom practices and for specific skill development related to individual customer assemblies. The introduction of any new assembly is undertaken with close customer co-operation. Each customer’s drawings, cleaning methods and assembly instructions are reviewed, increasingly with the support of photos and videos, and developed into an agreed operational process for Reliance. Functional instrument tests are undertaken, which can include leak testing, laser-based testing, electrical conditioning and pressure testing. Reliance is able to adapt to different customer requirements, using in-house equipment, which may be designed to suit, or using cut-down versions of the customer’s instrument.